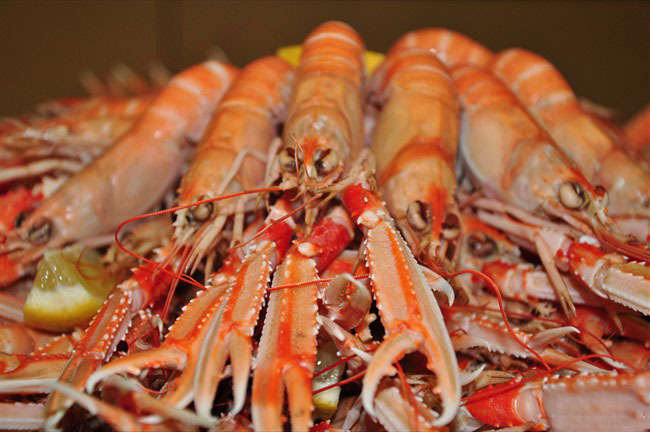 Scottish West Coast Langoustines Co-operative proves significant UK demand for prime whole fresh Scottish langoustines. 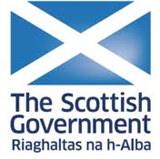 Hosted by the Scottish Provincial Press Group and sponsored by The Highland Council. 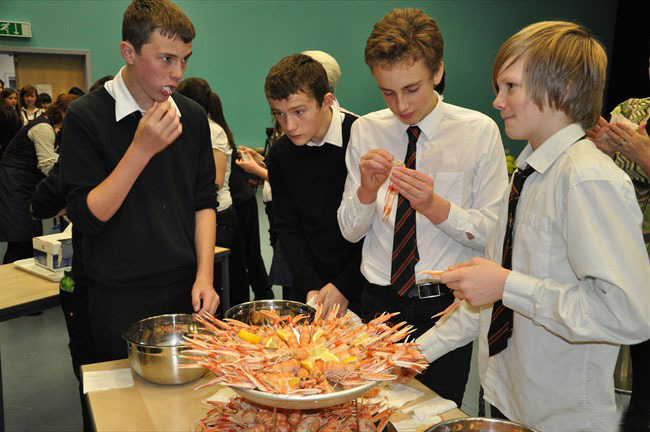 Scottish West Coast Langoustines Co-operative's much heralded "langoustine extravaganza" (as widely trumpeted in the media leading up to this event) was a roaring success as demonstrated by the huge attendance at our prime location within Eden Court. 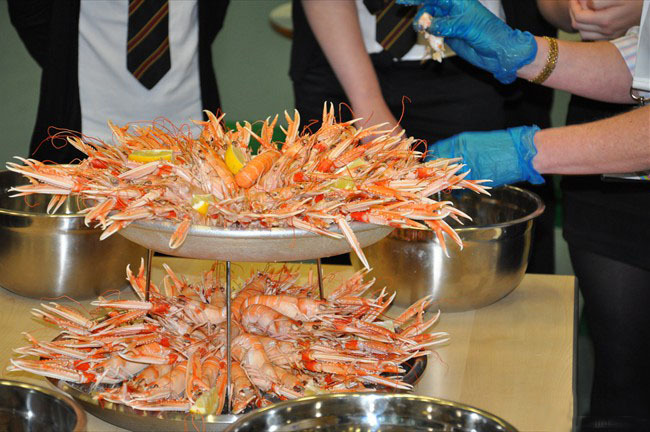 Around one hundred kilos of prime Scottish langoustines were consumed by highly appreciative visitors at our tables, superbly cooked and presented by our professional team under the supervision of SWCLC's professional caterer Dede MacGillivray of Camus Cross, Skye. Additionally, and of the greatest significance to the major UK food retailers, we underpinned our Market Research in to the demand by British consumers by selling a similar quantity, for the public to cook at home, in specially prepared 1 kg. 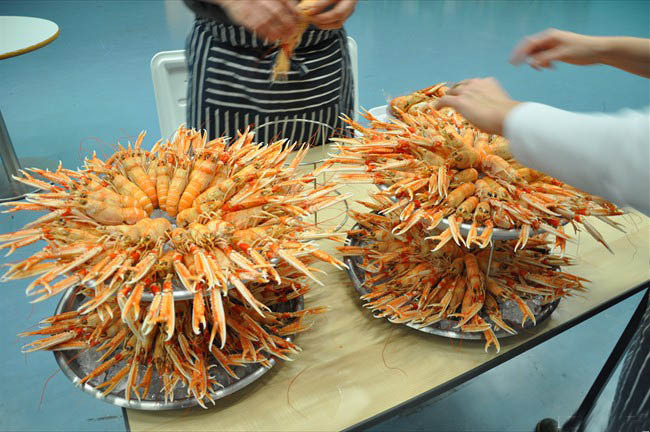 trays of whole fresh Scottish langoustines to a staggering 10% of adult visitors to Eden Court on the day. Neil Robertson (Managing Director of SWCLC) commented "We're absolutely delighted with our achievements today. 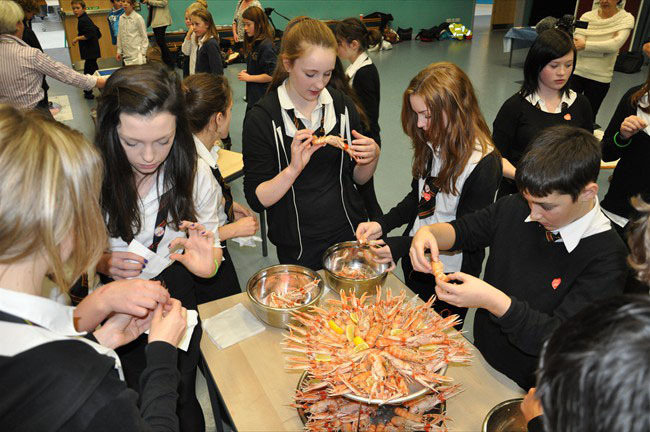 We took the gamble of bringing a large quantity of specially packaged langoustines to sell just to prove the demand for this iconic Scottish shellfish, as it transpired we could have sold considerably more as we'd sold out half-way through the Festival. 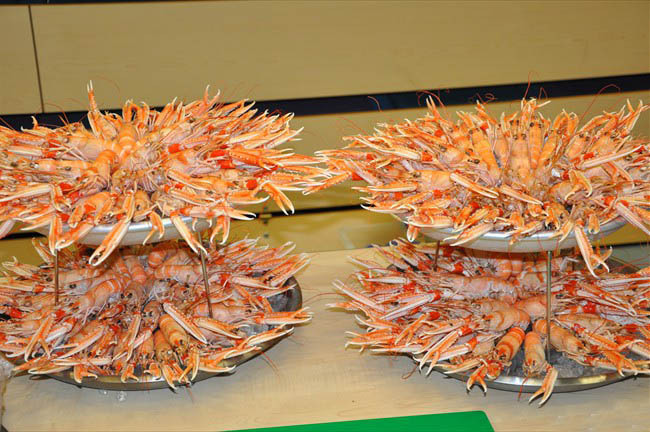 Adding: "This makes a mockery of the widely held belief within the UK's major supermarkets that the British public are reluctant to purchase whole fresh shellfish, preferring the processed and easy to handle 'scampi' product. The UK's principal food retailers must wake up to the fact that British consumers deserve the choice of deciding what food to purchase and not be dictated in that choice by the 'convenience' to the supermarket. SWCLC sold in Eden Court today what one of Britain's major supermarkets offers to its customers nationally in a week, most supermarkets won't believe this demand exists". 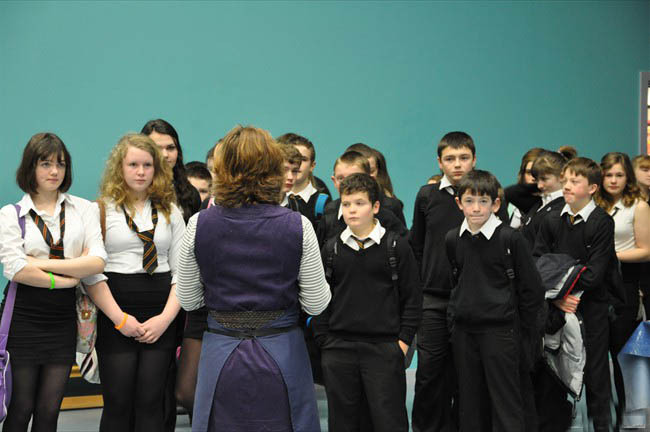 The hugely popular and successful event was hosted by Nicky Marr, a columnist with the Inverness Courier and also attended by Richard Lochhead, Cabinet Secretary for Rural Affairs and Environment. 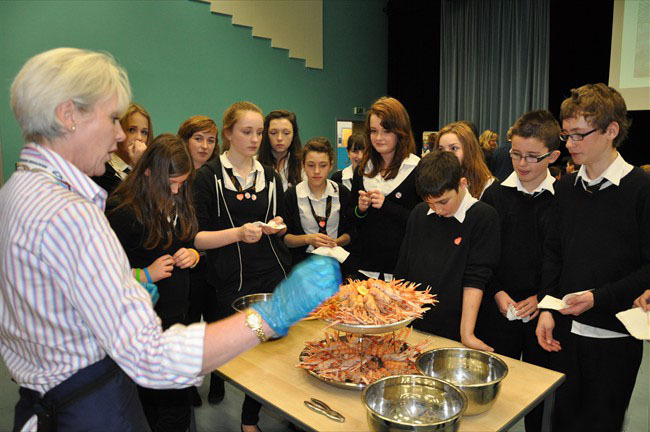 Children from all over Skye took part in a workshop on seafood in November 2012 to learn more about local fish and shellfish. 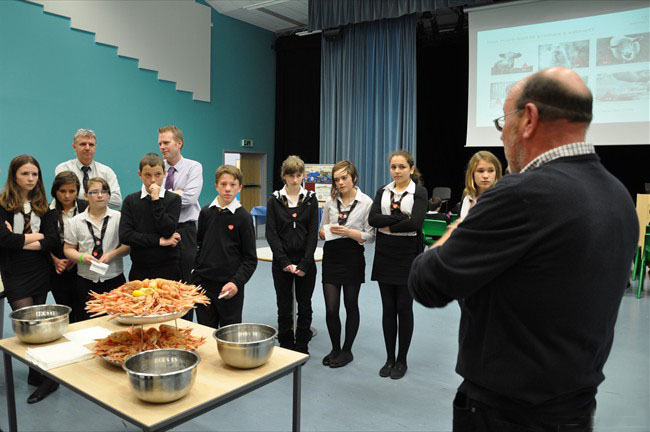 Seafood Scotlands "Seafood in Schools" event took place at Portree High School with primary school pupils from Portree, Broadford, Carbost, Struan, Elgol, MacDiarmid, Knockbrek, Kyleakin, Kilmuir, Staffin, Raasay, Dunvegan and Edinbane joining 250 Portree high school pupils. 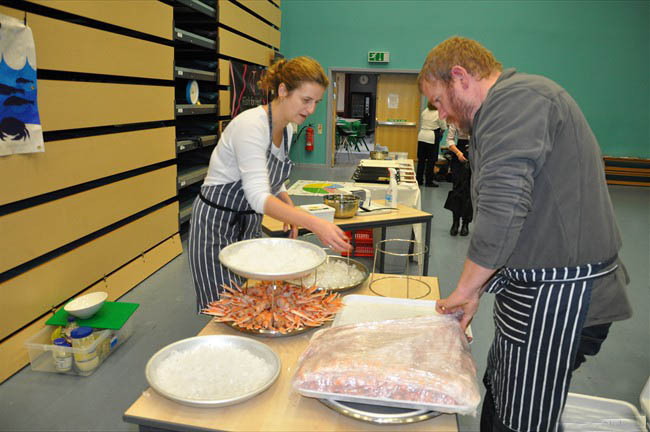 Also present were local chefs Simon Wallwork of the Glenview Inn and Michael Smith of the Three Chimneys restaurant to demonstrate quick, easy and tasty fish dishes using local produce. 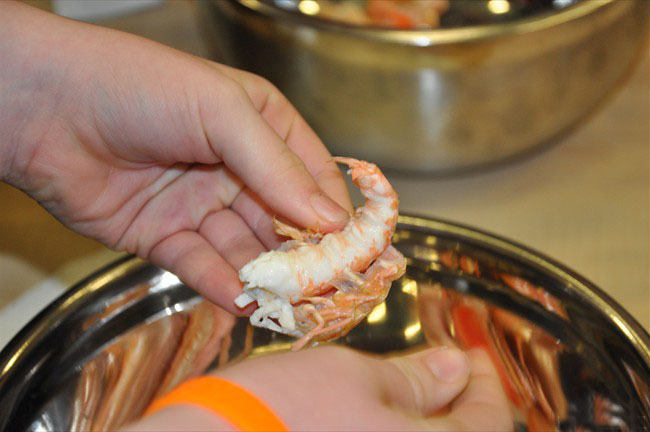 The seafood dishes created were greatly enjoyed by the participating children. 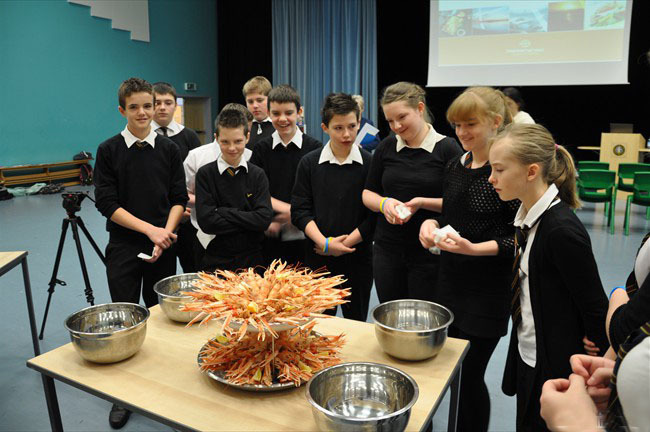 Seafood in schools at Portree High School. 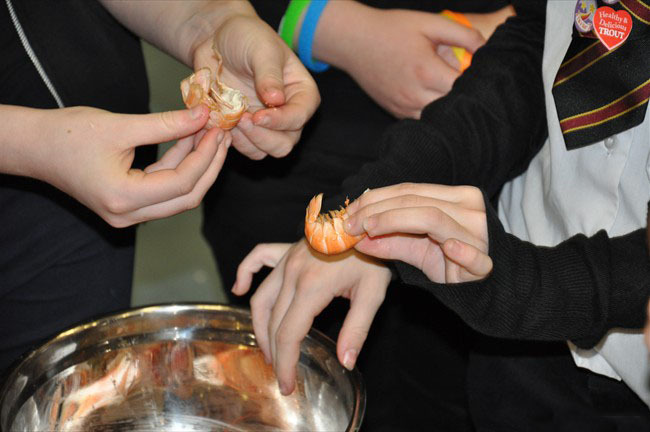 BBC Good Food Show - SECC Glasgow 19th - 21st October. 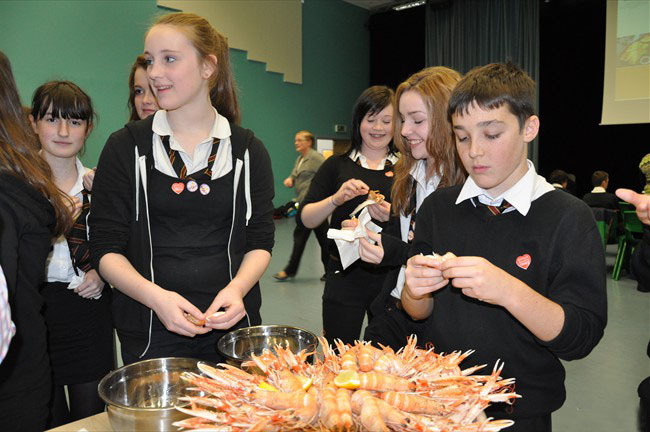 Celebrated chef, restaurateur, and BBC Masterchef co-presenter John Torode extolled the culinary excellence of Scottish langoustines during his principal Masterclass demonstrations at this three-day Food Festival. 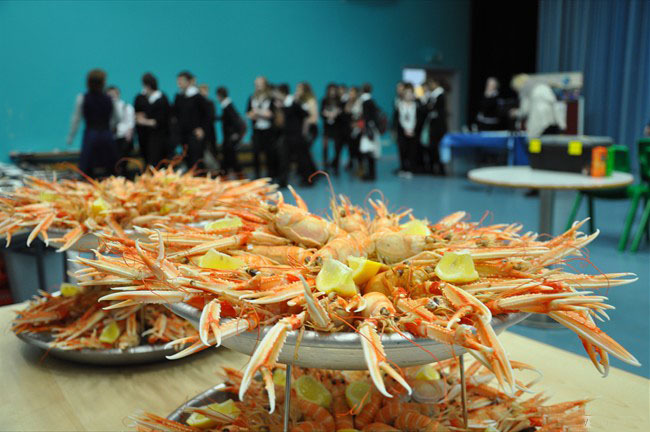 Scottish West Coast Langoustine Co-operative successfully negotiated 'preferred supplier' status with the event's organisers and supplied a quantity of prime whole fresh Scottish langoustines for the exclusive use of John Torode to promote to a large and enthusiastic theatre of paying attendees. In his inimitable manner, and in appreciation of the quality of produce, John forthrightly encouraged his audience to "get out there and demand these from your local supermarket. 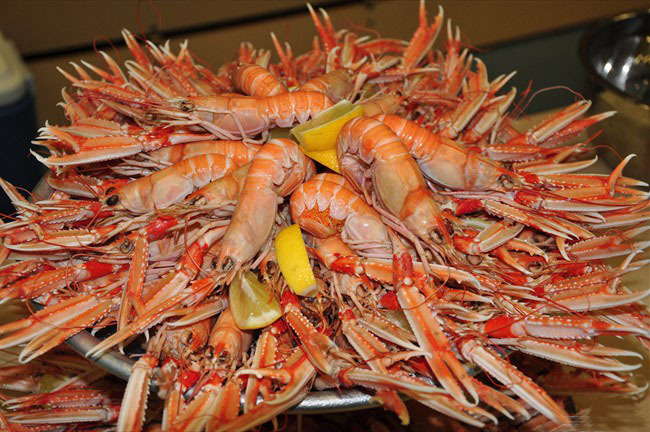 It's a crying shame you can't easily buy Scottish langoustines in this form locally when they're commonplace in the rest of Europe. They're really wonderful to eat and so simple to cook". 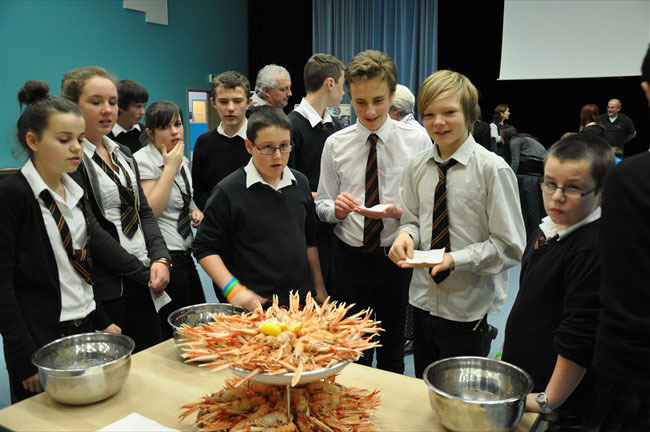 In September 2012 the Scottish West Coast Langoustine Co-operative took part in the Highland and Moray Food and Drink festival held at Eden Court in Inverness. 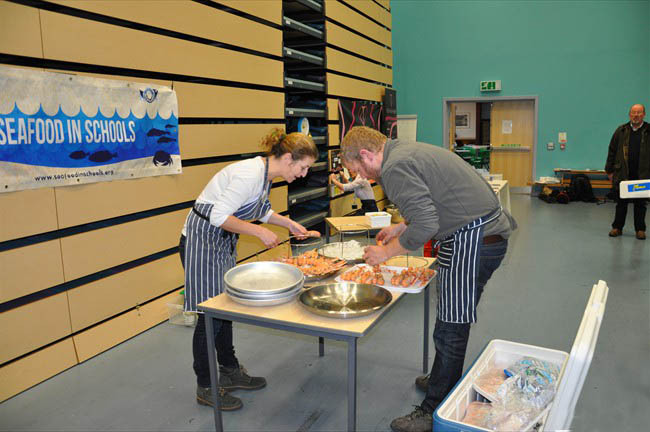 More than 40 food producers, suppliers, distillers, brewers and restaurants took part in the event to showcase their wares. The event was hosted by Nicky Marr from the Inverness Courier and also raised over £4,000 for the ARCHIE foundation to upgrade the children's ward at Raigmore hospital. 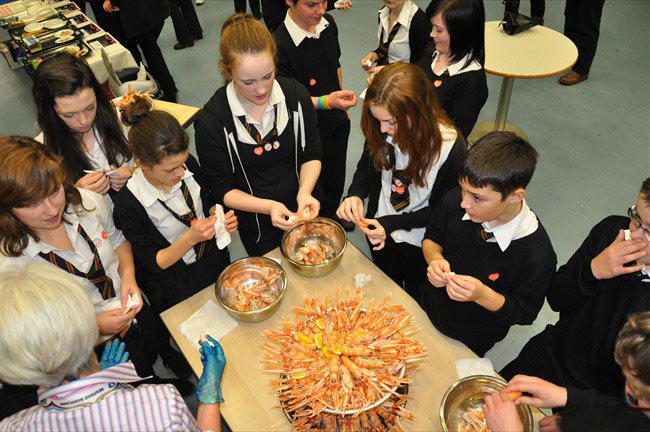 Lady Claire MacDonald from Kinloch Lodge on Skye represented the SWCLC by extolling the virtues of our native langoustines. 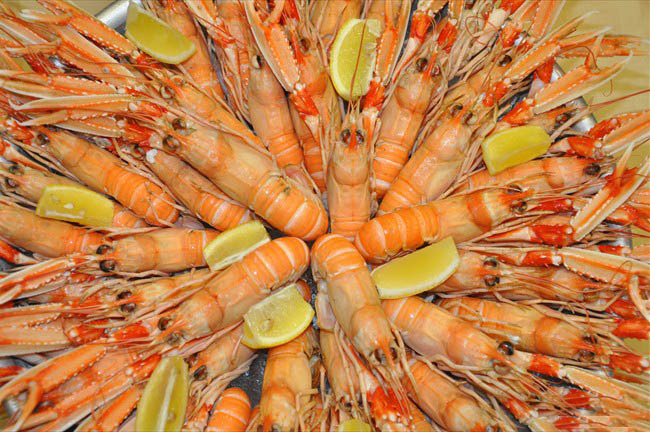 Lady Claire explained that few langoustine are eaten in the UK as most are exported to Spain, France and Italy, where they are highly prized. 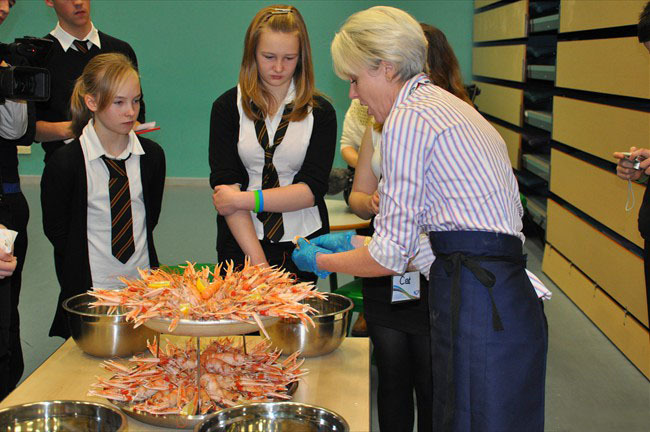 Lady Claire tempted people's appetite by cooking langoustine cocktails as well as a bacon pâté and langoustines in a white wine and saffron reduction. 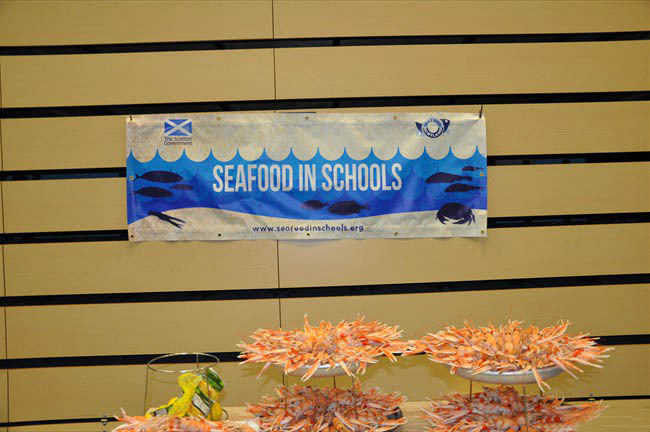 Organiser Steve Barron of Scottish Provincial Press said that the day had exceeded expectations. 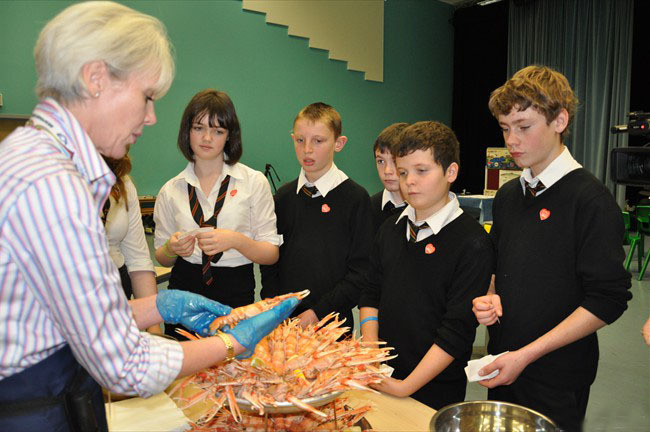 "As a business embedded in the communities of the Highlands and Moray we recognise the important part food and drink businesses play in the success our our local communities" he said. He also explained that they hope to run the festival again next year.